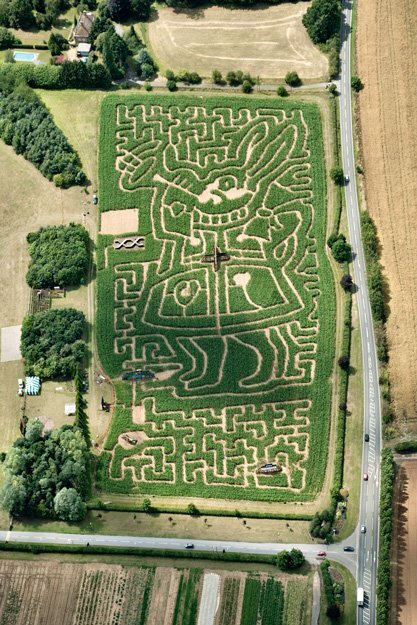 Aerial photography of the new Millets Farm Centre maize maze. the Maze with an Alice in Wonderland theme. For more click here.